In the first "Spotlight on SMEs" post, I showcase an SME (small/medium enterprise) that has already worked with Cuadrilla and IGas to assess the environmental impact of their sites. Ground-Gas Solutions is an environmental monitoring consultancy that currently employs 15 people, although that number is expected to rise quickly in support of a growing shale sector. The main office is based in Manchester, but they have people working all around the UK. GGS specialise in monitoring ground and air pollution around industrial sites. GGS was founded in 2009 by Simon Talbot and John Naylor, who have previous experience in landfill monitoring and contaminated land investigation. While GGS serve a number of sectors, their services are already proving useful to shale gas operators. While environmental monitoring is not a new thing, GGS have developed novel sensors capable of monitoring the concentrations of potential pollutants like methane, hydrogen sulphide and volatile organic compounds (VOCs) continuously, rather than at discrete and irregular intervals. 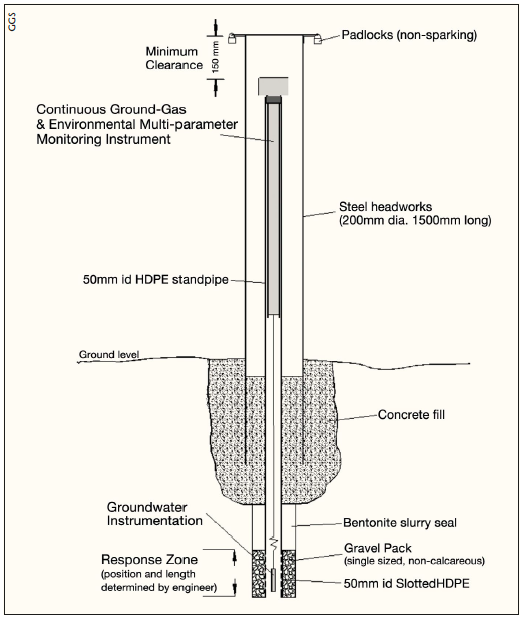 The image blow shows how a sensor is set up in a borehole to detect potential pollutants moving through the ground. Continuous monitoring is crucial for both baseline surveys and during operations. The baseline is absolutely necessary to determine what the site was like before the operating company arrived at the scene. Methane in particular can occur naturally. Without a baseline, it is almost impossible to determine whether methane around drilling sites has been caused by the drilling, or was already there naturally. Baseline monitoring allows you to see whether anything has changed due to drilling. Importantly, naturally conditions can fluctuate due to seasons, the weather, the tides and many other reasons. 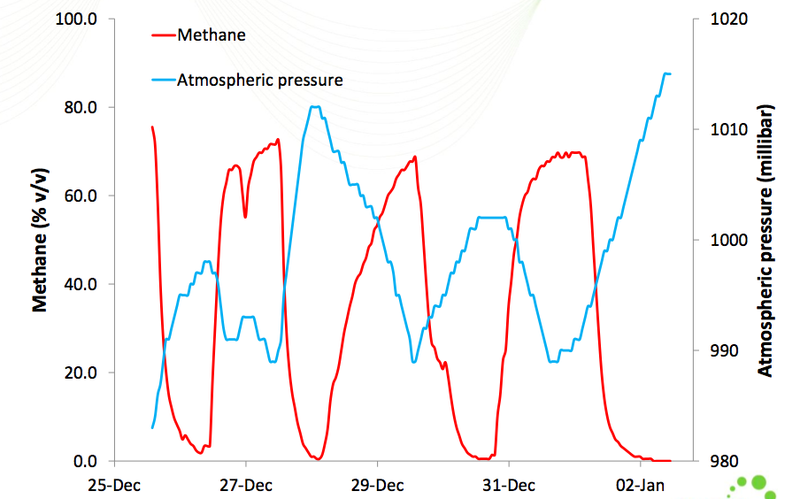 For instance, the figure below shows variations in natural methane levels caused just by atmospheric pressure changes. If the baseline was simply taken as a discrete measurement at a single time, all of this variation would have been missed. Similarly, during operations it is important to know immediately if anything untoward is happening. Constant continuous monitoring means that the operator can be informed immediately if pollution is detected, so that remediative actions can be taken. A final figure shows the breadth of measurement currently being taken around potential shale gas sites in the UK. So there we have it: our first spotlighted UK SME. 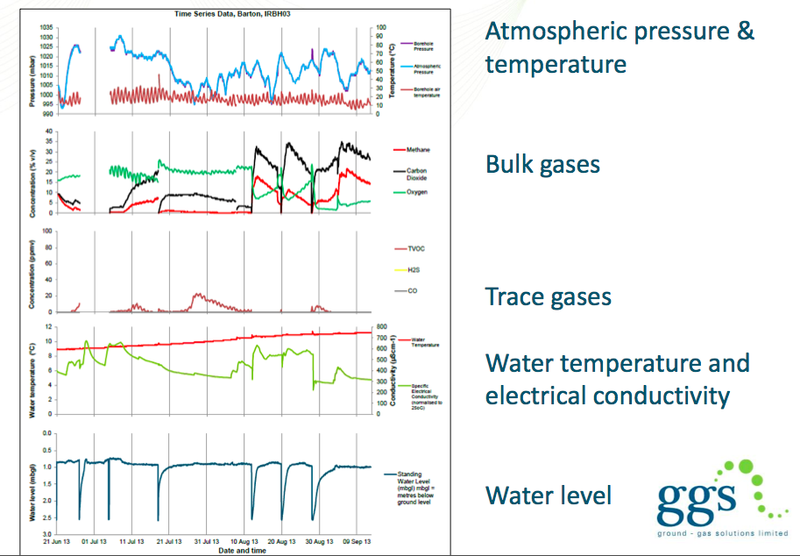 GGS are providing environmental monitoring services to keep an eye on UK shale operators. Cuadrilla et al know they can't afford to leak any methane with these guys on the scene! I'm actually searching the post about the Ground gas . Thanks for sharing those info.